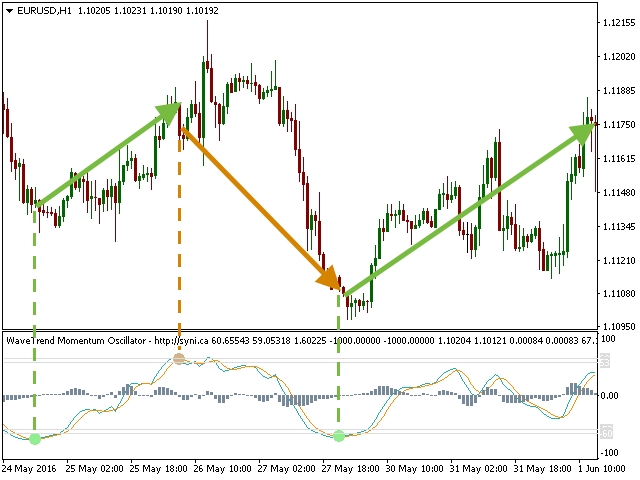 Autor: Synapse Investment Research Group, Inc.
WaveTrend Momentum Oscillator is an upgrade to the popular and easy-to-use WaveTrend Oscillator. 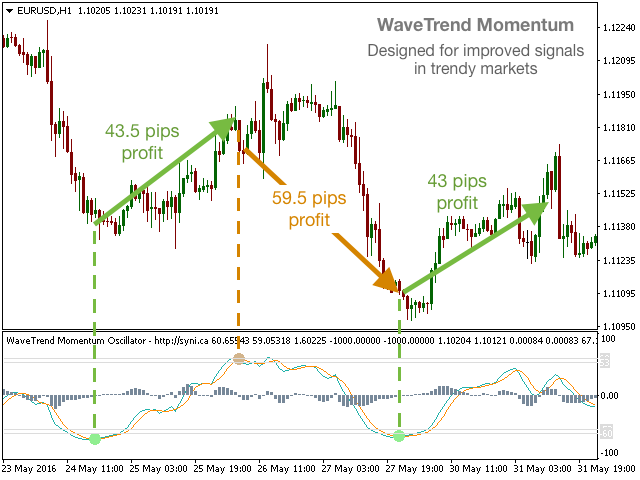 The WaveTrend Momentum Oscillator adds a momentum component to the original WaveTrend calculation, in order to provide faster and more accurate entry points during trendy market conditions. Do you prefer the original WaveTrend Oscillator? 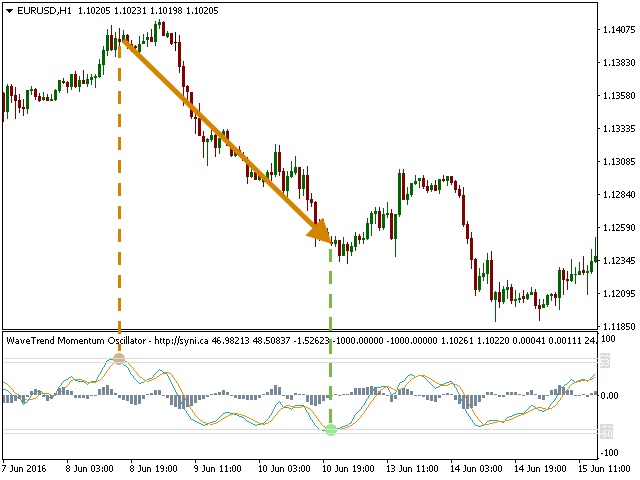 The WaveTrend Momentum Oscillator allows you to switch between momentum and original WT versions. Both provide valuable information depending on the market condition. When the WT is above the overbought level and crosses below the control line, this is a good sell signal. When the WT is below the oversold level and crosses above the control line, this is a good buy signal. 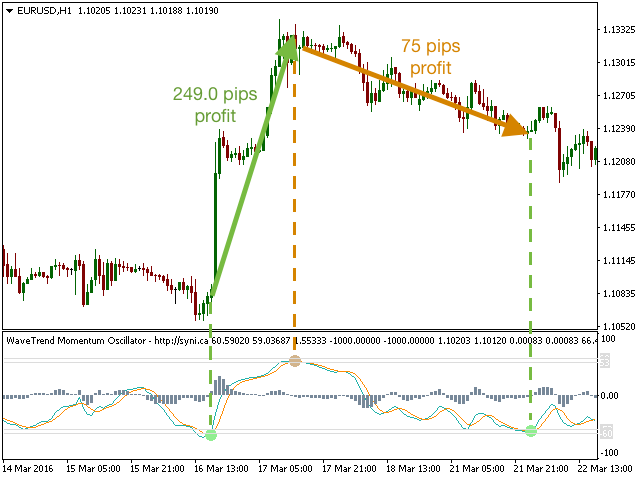 Colored circles highlight buy and sell signals. Divergences between WT and price movement can indicate an upcoming reversal. 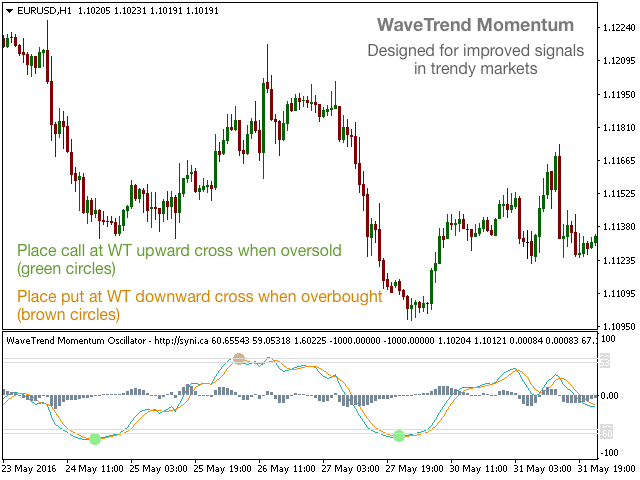 We have added sound, message, and email alerts for WaveTrend crossovers during overbought (sell signal) and oversold (buy signal) conditions. Overbought and oversold levels are user-selectable. Email recipient and smtp information must be specified in MT4/options before using email alerts. Great indicator with good signals. It's also great to use for divergence. 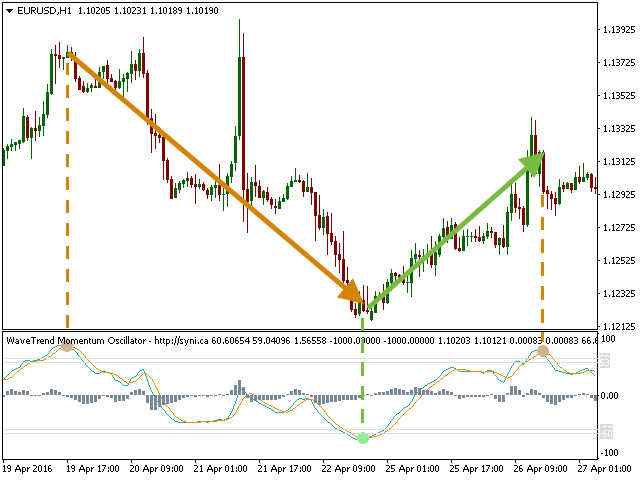 This is a great Oscillator that helps in entry and exit trades especially with other combination or alone after tweaking. I have been using it since I got it. 49$ seems a reasonable price for a solid profitable indicator. I hope you can develop EA from it. I think it would be a good EA scalper on 1M.